Join Jezabel for a hands-on cooking class, learn how to make her trademark Argentine staple and celebrate National Empanada Day. Guests will learn how to prepare and will make their own empanadas, with beef and vegetarian fillings. 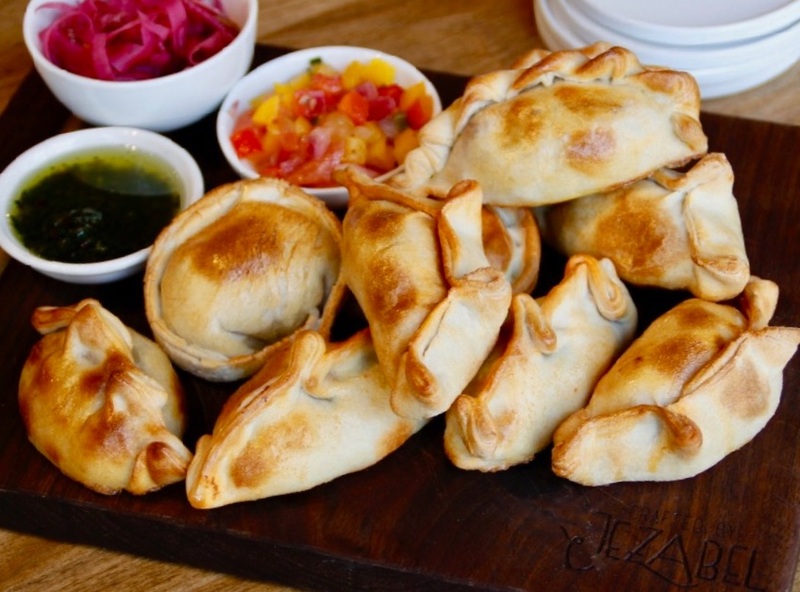 While the empanadas are baking you will enjoy 3 empanadas of your choice with chimichurri and pickled vegetables. We will have a mix of fresh fruit ready to prepare a traditional Argentine Clericó (known as South America’s white Sangria) so please bring your favorite bottle of white wine, we’ll take care of the rest. Before we say goodbye, your empanadas will be ready to go and you will be set to impress your family and friends with your new empanada-making skills.